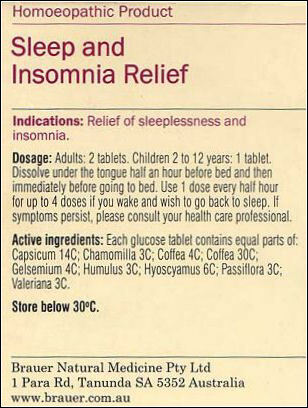 A friend of mine purchased a packet of homeopathic sleeping tablets. The back of the packet can be seen at the right, and the list of ingredients raises some questions. The first one of these is why there needs to be two different concentrations of the same medicine (Coffea) in the tablets. I know that a dilution of 30C means that there is nothing there at all so it seems irrelevant to mention it, but it seems strange to put it in the list twice. Under homeopathic logic, the 30C version should be so immensely more powerful than 4C (which is hardly diluted at all, being only a concentration of 0.0000001%) that it surely should swamp any effect of the other ingredient. I am a bit concerned at the 14C dilution of Capsicum as under the Law of Infinitesimals the tablets must have a strong peppery taste with the concentration at 0.000000000000000000000000001% of active ingredient. The main question that is raised however, is where is the location of the listing or registration number for the Australian Register of Therapeutic Goods? There is a page on the Brauer site which explains how Brauer and the Therapeutic Goods Administration are very good friends. (Update March 26, 2005 - The TGA is no longer mentioned on the Brauer site. Perhaps there has been a falling out.) It would seem to me that anything claiming to assist with sleeplessness and insomnia would fit the description of a "therapeutic good", so where is the number? Or is Brauer simply recognising that the tablets contain no active ingredients at all and are indistinguishable from pure glucose, and therefore are not real medicine? If that is the case, why are they charging $14.50 for a packet containing a few grams of a product which can be purchased for a few dollars a kilogram? Is it because they think their customers are suckers? I sent these questions to Brauer on September 14, 2003.